This pdf contains information for providers, communities as well as individuals who are interested in suicide prevention. You can read it online or download and save to your device. Suicide among veterans is higher than the general population. You may have a friend, family member, significant other who is a veteran. You may know the dependents of a veteran. How would you react if someone you know or are close to says "You'll miss me when I'm gone. ", or suddenly becomes involved in high risk behaviors? IT MAY EVEN BE YOU. What are the myths and realities about suicide? The Department of Veterans Affairs (VA) released findings from its analysis of Veteran suicide data for 50 states, Puerto Rico and the District of Columbia. 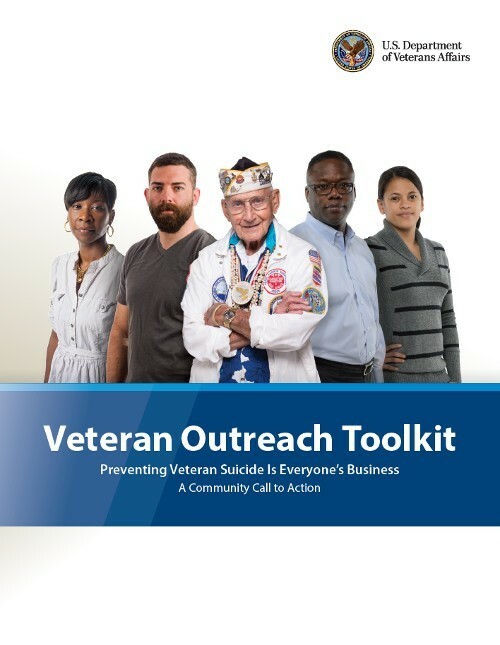 The release is part of VA’s comprehensive examination of more than 55 million records, from 1979 to 2014, which will be used to develop and evaluate suicide prevention programs across every state. Be AWARE of the signs and symptoms surrounding suicide. Learn the truth about suicide and how you can help someone in crisis. It may be you in need of help next time. You can read this short pdf online or save a copy to your device. Either way you will need a pdf reader. See above or our home page to get Adobe Reader free, if you don't have one. Additional information on suicide and suicide prevention.